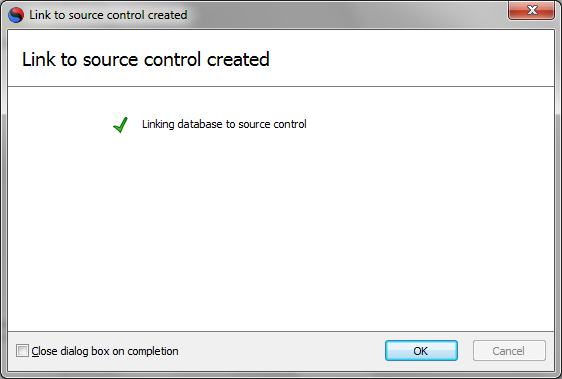 In this blog post I am going to show you how to add a SQL Server database to Subversion using Redgate SQL Source Control, the tool claims you can add your database to a source control provider such as Subversion in about 5 minutes – lets see whats involved. I have Subversion running on my own windows 7 pc at home, I use it for testing out tools and integration with CI and so on, in future blog posts I will cover more on Continuous Integration. SportsStore is a local database used within one of the MVC books I have, lets add this database to Subversion using the tool now. Create a New Folder which needs to be empty within your local repository folder, in my case my subversion folder is c:\svn\trunk\ – this is where your database scripts and data will be where your scripts in source control will be locally. 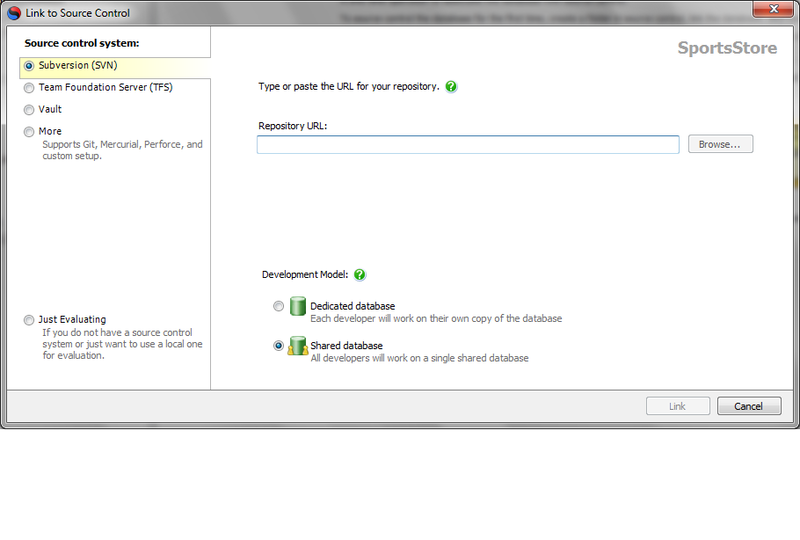 The following window will pop-up, here enter the url to your repository, since mine is local I just need to add c:\svn\trunk\SportStoreDB (this is the folder your db scripts will go into), click go. 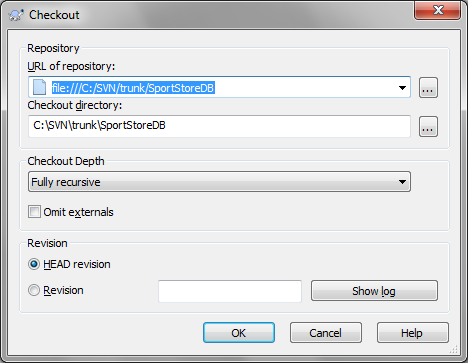 This now leaves us with the entire SportStore database having been scripted and placed within your subversion repository and you now have a local copy – perfect and easily accomplished. 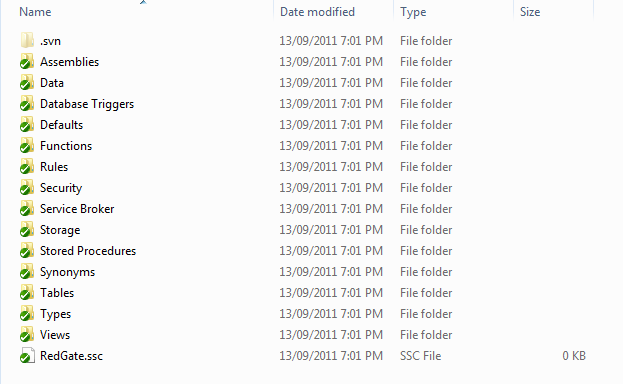 Below are the screenshots of the output from the tool within your Subversion folder. 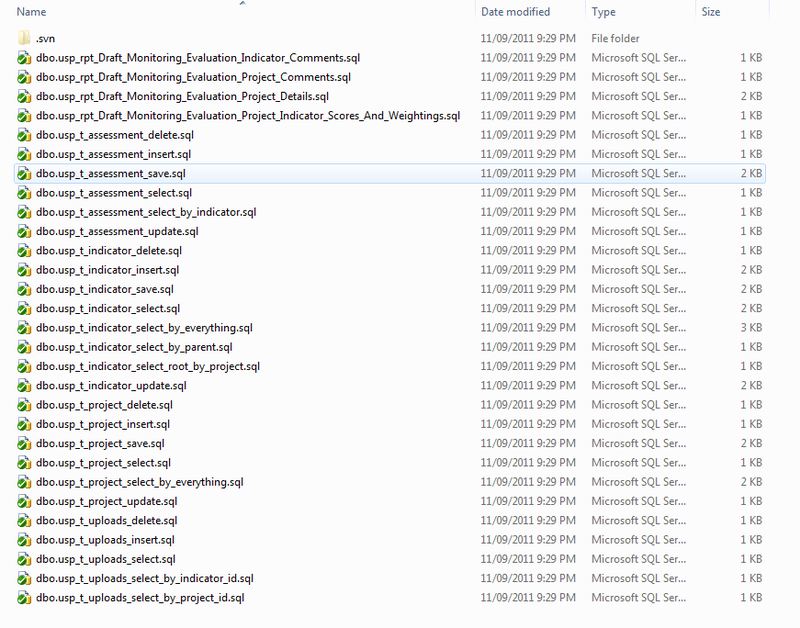 And a view of the stored procedures folder with created scripts for you. 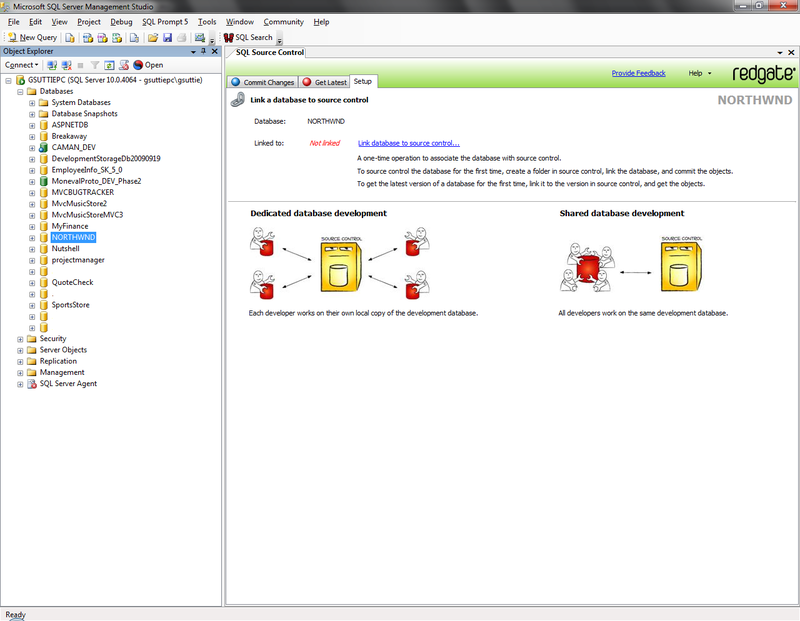 For more on this great tool check out Redgate SQL Source Control. Nice article. Please do pass by my new SQL Geek site–its a bit wild!